"EASTOFT, a chapelry in the parish of CROWLE, western division of the wapentake of MANLEY, parts of LINDSEY, county of LINCOLN, 3 miles (N.E.) from Crowle, containing 232 inhabitants." Note: Eastoft is NOT an ancient parish of Lincolnshire. It was formed in 1855. The parish was part of the Crowle sub-district in the Thorne Registration District (which is mostly in Yorkshire). The The Lincolnshire Family History Society has published surname indexes on fiche or in booklet form for each of the census years under the title "Glanford Brigg Reg. Dist.". These are available by credit card from the Federation of Family History Societies Bookstore with worldwide shipping. There is evidence of a Chapel of Ease and a burial ground adjacent to Eastoft Hall, but all physical traces have since vanished. The Anglican Church is dedicated to Saint Bartholomew and it stands in Yorkshire. The church was built in 1855 and the parish registers date from that year. Earlier events are recorded in either Crowle parish records or in Adlingfleet. David WRIGHT has a photograph of St. Bartholomew's Church on Geo-graph, taken in September, 2006. The Anglican parish registers date from 1855. Earlier events are recorded in either Crowle parish records or in Adlingfleet. 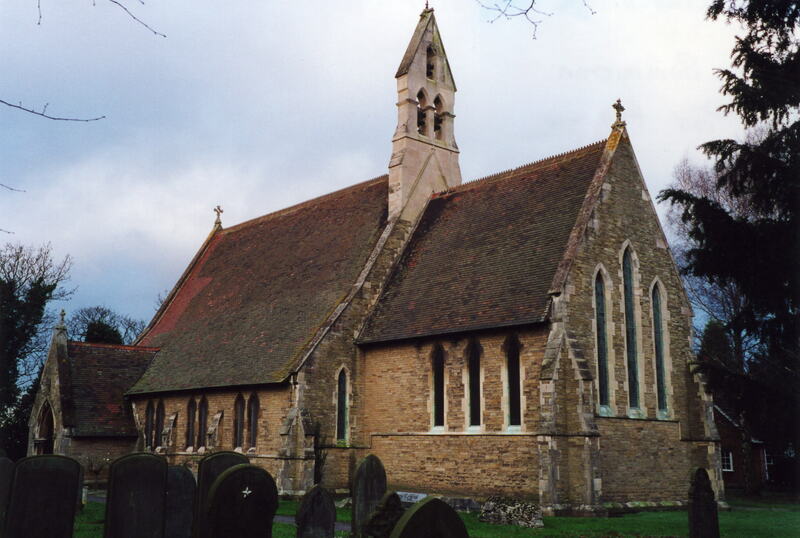 Check the Isle of Axholme Deanery to see what LFHS marriage indexes exist. A Primitive Wesleyan chapel was put up in 1860 and a Church Institute in 1805. For information and assistance in researching these chapels, see our non-conformist religions page. The parish was in the Crowle sub-district in the Thorne Registration District. Eastoft is a parish in the Isle of Axholme in the far northwest corner of Lincolnshire. Eastoft parish sits east of the old river Don about three miles north-east of Crowle and 9 miles south-east of Goole. The parish of Luddington lies to the east. The village is perhaps best reached off of the A161 trunk road which runs west of the village. Ask for a calculation of the distance from Eastoft to another place. You can see the administrative areas in which Eastoft has been placed at times in the past. Select one to see a link to a map of that particular area. In 1912, Eastoft Hall (Yorkshire) was the residence of William COULMAN, J.P. and Eastoft Hall (Lincolnkshire) was the residence of William HALKON. The national grid reference is SE 8016. You'll want an Ordnance Survey Explorer map, which has a scale of 2.5 inches to the mile. Major Edward Charles STRICKLAND-CONSTABLE of the Royal Horse Guards owned property in this parish in 1913. He had been in the Horse Guards since at least 1880. David SQUIRE has a photograph of the War Memorial on Geo-graph, taken in May, 2006. David WRIGHT has a photograph of the War Memorial base on Geo-graph, taken in September, 2006. The names can be made out clearly. Prior to 25 Sept. 1855, this parish was only a township in Crowle parish. On 25 Sept. 1855, the parish was formed out of parts of the parishes of Adlingfleet (in Yorkshire) and Crowle (in Lincolnshire). Technically, the parish is only partly in the Isle of Axholme. The parish was in the ancient Manley Wapentake in the West Lindsey district and parts of Lindsey. Parts of the parish were in the East Division of the West Riding of Yorkshire. In fact, Eastoft, Yorkshire, and Eastoft, Lincolnshire, are separate civil parishes, although they are combined ecclesiastically. The church and the school stand in Yorkshire. By 1911, the roads here were under the control of the Crowle Urban District Council. In the 1972 government redistricting, this parish became part of the Boothferry District, which is now in the County of Humberside (formerly Lindsey, Lincolnshire). For today's district governance, the Lincolnshire portion is served by the North Lincolnshire Council. After the Poor Law Amendment Act of 1834, both portions of the parish became part of the Thorne Poor Law Union. Bastardy cases would be heard in the Epworth petty session hearings every other Thursday. Yorkshire and Lincolnshire tallies are combined. Population tallies prior to 1855 are for the township, not the parish. A Public Elementary School was built in the Yorkshire portion in 1850. The local genealogical society is the Isle of Axholme FHS.